What is catnip? Effects of catnip on cats How do cats respond to catnip? Is catnip harmful? How to give catnip to a cat Growing catnip Can humans get high on catnip? What is catnip? Catnip is a member of the mint family and contains the essential oil nepetalactone which gets some cats high. Does it affect all cats? Approximately 64% of cats are affected by catnip, kittens under 8 weeks aren’t able to enjoy catnip. 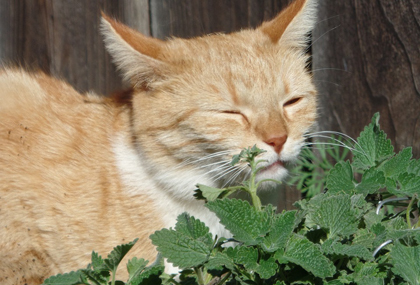 How does catnip affect cats? Cats respond in a number of ways including drooling, head and body rolling. How long does the effect last? Approximately 5 to 10 minutes. World catnip awareness day: 15th June. Catnip is a perennial herb from the mint family Labiatae. It has a square, hairy stalk with typically green/grey coloured heart-shaped leaves that have scalloped edges. Flowers grow in spikes, reaching 1/2 inch in length. It is best known for its ability to get cats high. Nepeta cataria (catnip or true catnip): White flowers, grows up to 3 feet. This is the variety most cats enjoy. 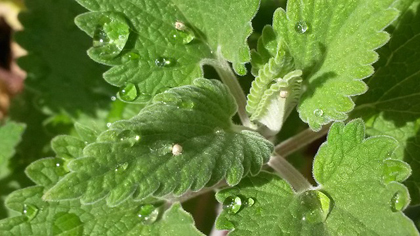 Nepeta camphorata (camphor catnip): White flowers with purple dots, grows up to 18 inches. Camphor scent. Nepeta parnassica (Greek catnip): White, pale pink flowers, grows up to 18 inches. Nepeta mussinii (Persian catmint): Purple flowers. This plant has smallish, grey/green leaves. It grows up to 15 inches high. Native to Europe and Asia, catnip became naturalised in North America and Canada after being introduced by the colonists in the 1600s. The name Nepeta is believed to have come from the town of Nepete in Italy, and Cataria is thought to have come from the Latin word for cat. 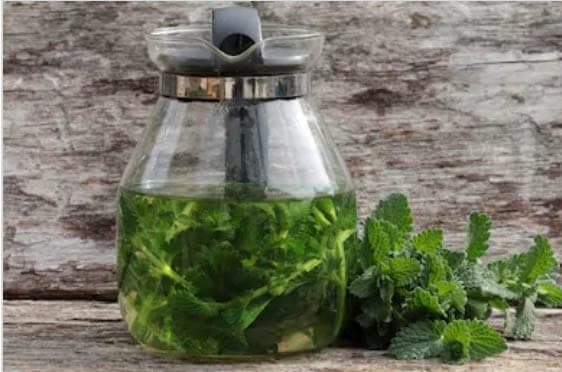 Nepeta cataria is also known by the following names: cataria, catmint, catnep, catrup, cat’s healall, cats-play, true catnip, cat’s wort, catswort, catwort, chi hsueh tsao, field balm, Garden Nep, Herba Cataria, Herba Catti, Nebada, Nep. The active ingredient that causes a high in cats is an essential oil, nepetalactone, which can be found in the leaves and stems of the plant. Other constituents include acetic acid, alpha, and beta-nepetalactone, citral, nepetalactone, geraniol, dipentene, citronellol, nerol, butyric acid, valeric acid, and tannins. Nepetalactone causes a hallucinogenic effect. Some say the effects are similar to LSD; others say they are more similar to marijuana (some people claim that smoking catnip induces a high like that of marijuana, not that we recommend you try it). Because cats affected by catnip roll on the floor—which mimics a female in estrus—it has been suggested that the plant acts as an aphrodisiac, but this is unlikely, as males react the same way as females. What is likely is the cat is reacting to similar feel-good pheromones released during sexual courtship/activity. However, non-sexual behaviour—including playing, chasing, and hunting—can also be observed. Neil B. Todd found 31% of cats are immune to the effects of catnip. Kittens under 6 months of age don’t respond to catnip. Large cats including lions, tigers, bobcats, jaguars, servals and snow leopards also respond to catnip, but it has no effect on other species of animal. 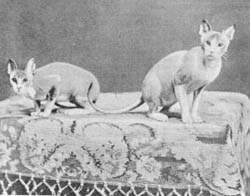 Kittens younger than eight weeks old aren’t able to enjoy its effect; in fact, they show an aversion to it. Lions, tigers, leopards, servals, lynxes, leopards and cougars also enjoy the effects of catnip. Cats can smell 1 part per billion in the air. The response to catnip is inherited as an autosomal dominant gene, which means the gene only needs to be passed on from one parent. The response is mediated through the olfactory system. When nepetalactone enters the cat’s nasal passages, it binds to olfactory sensory neurons found in the olfactory epithelium (specialised tissue located on the roof of the nasal cavity, at the back of the nose), which is involved in smell. A layer of mucus covers the olfactory epithelium which traps odour molecules. The olfactory sensory neurons send signals through the olfactory tract to the olfactory bulb which is located in the front part of the brain and responsible for processing smells. The olfactory bulb then sends signals to several regions of the brain including the amygdala (responsible for emotions) and the hypothalamus (responsible for behavioural responses). The cat’s sense of smell is far superior to that of humans. The size of the feline olfactory epithelium is 20 cm squared, compared to our paltry 2 – 4 cm squared. Cats also have 200 million scent sensors and humans have 5 million. 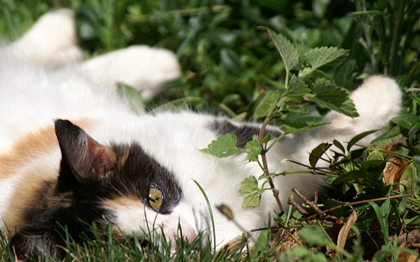 How do cats respond to catnip? 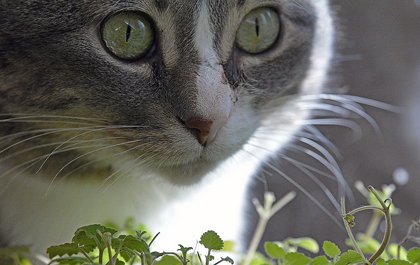 Four responses have been described when a cat encounters catnip. Additional responses may include stretching, drooling, jumping, licking, aggression, and hyperactivity. Sniffing produces the high; it is believed that cats chew or eat catnip to bruise the leaves, thereby releasing more of the nepetalactone. The high produced will usually last between five and ten minutes, followed by a one-hour period where the cat remains unaffected by catnip. Do cats get a catnip hangover? 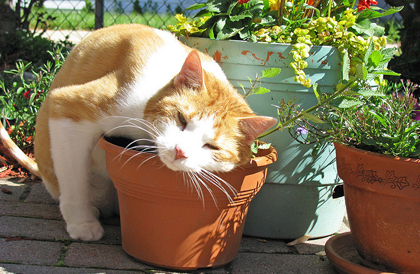 No, cats don’t get a hangover from catnip so they can indulge without worry. Is catnip harmful to cats? No it is harmful to your cat. Most cats know when they’ve had enough and will refuse any further offers however intoxication is has been reported. Can pregnant cats have catnip? While catnip is safe for most cats, it is a known uterine stimulant and should be avoided in pregnant cats. You can dry it out and sprinkle some on the floor for them, add a few pinches to a paper bag and scrunch it into a ball or place a few pinches in a sock. Where can I purchase catnip? 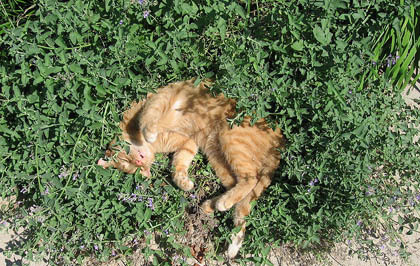 Most garden centres (nurseries) sell fresh catnip in the herb section. Most pet shops sell dried catnip and catnip toys. Or you can grow it fresh and dry it at home. Catnip is easy to grow. You should be able to purchase the plant from your local garden centre. You can also grow from seed, but the germination rate can be quite low. It likes light, sandy soil and grows best in full sun. Keep it well watered until it has become established. As the plant is growing, pinch out the top growth tips to promote bushiness. If you are planting it in a garden your cat has access to, make sure there is plenty of adjacent space around the plant so that other plants won’t be damaged if your cat rolls in it. If you have catnip in a pot for an indoor cat, have several pots growing outdoors so that you can rotate plants regularly. You can take leaves from your catnip plant throughout the year. 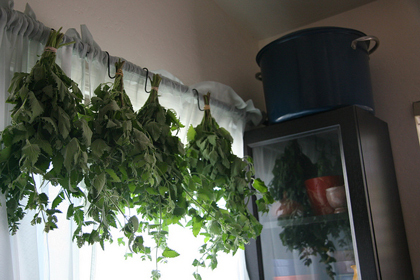 To dry, place in the oven on very low heat or hang upside down in a dry, ventilated area, away from the sun. It should crumble easily when it is ready. Most pet shops sell catnip toys and/or dried catnip. Catnip doesn’t induce a high in humans like it can in cats. It tends to have a sedative effect, instead. As we mentioned above, some claim it induces a high similar to marijuana when smoked. Interestingly, researchers say that nepetalactone is about ten times more effective at repelling mosquitoes than DEET, which is the active ingredient in most insect repellents. It also repels cockroaches. Plants aren’t alone in containing nepetalactone; some insects and ants also contain it. It is thought it protects them from other insects. Rats and mice have a strong dislike of catnip and will avoid places where it grows. 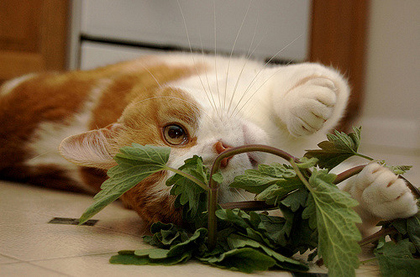 Catnip can calm an upset stomach or help with sleep when drunk as a tea. Flavour with honey or lemon (optional). It can also be used as an aromatic herb in cooking and salads. Catnip is useful for settling an upset stomach. It has been used to treat headaches, scarlet fever, coughing, insomnia, and smallpox. It can also be used for cuts, studies show it has a natural healing quality. 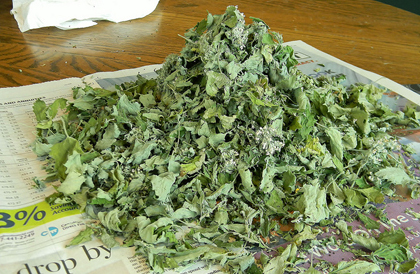 Crush fresh catnip leaves, damp them and apply to your cut. Some other medicinal uses for catnip include anesthetic, antibiotic, anti-rheumatic, antispasmodic, astringent, calmative, diuretic, muscular aches and pains, rheumatism, chills, cold in the joints, hemorrhoids, toothache. According to The Herb Garden, “The root when chewed is said to make the most gentle person fierce and quarrelsome.” In fact, there is a story about an executioner who would have to chew on the root of catnip so he could bring himself to kill. Pregnant women should avoid catnip, as it can induce uterine contractions. Can other plants get cats high? Yes, apparently catnip isn’t the only high-inducing plant. A recent article in Wired talks about recent research which have found three other plants which are capable of inducing a high in cats. None of these plants contain the active compound nepetalactone, but do have similar compounds. Doctor Sebastian Bol, a molecular biologist and a founder of Cowboy Cat Ranch tried these plants out on 100 domestic cats from Southern California cat clinics to try the following plants on their feline subjects. Plant matter was rubbed on a sock or a piece of carpet and placed within the line of sight of the cats. Eighty percent of cats responded to Silvervine. That is 10% more than the number of cats who respond to catnip. 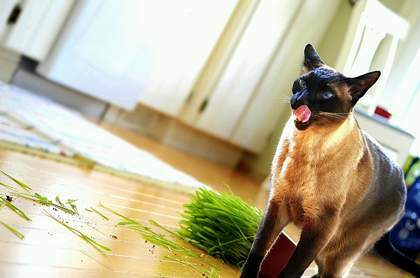 Forty percent of cats responded to valerian root and Tartarian honeysuckle. Some of the cats who didn’t respond to catnip did respond to the other plants, 23% of cats responded to catnip, valerian root, silver vine and Tartarian honeysuckle. Green olives can also send some cats crazy. They contain isoprenoids (also known as terpenoids) which are structurally similar to nepetalactone. I offered an olive to three of my cats, all of whom ignored it. But it warrants further research. 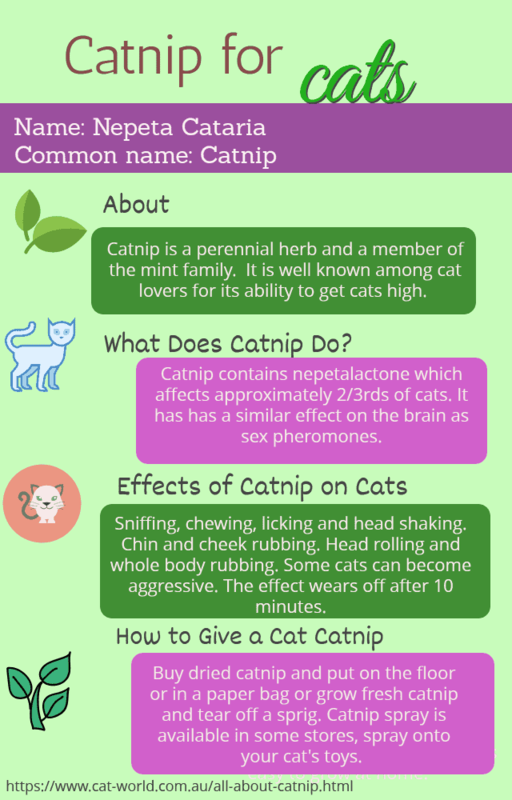 Please feel free to use this infographic about catnip. My cat goes crazy for the kiwi prunings, although she is disinterested in the catnip of which I have cultivated a large clump! I find it an excellent medicine…i have found it more effective in small doses. Excellent calming properties on both intestinal discomfort and anxiety. I’ve heard about that but not tried it on my own cats. So what does she eat, the leaves? I have written about other plants cats enjoy in this article. I have also notice the green olive effect, I can no more than open the black cat goes crazy and will play with the olive like it was catnip, The brother to the cat seems unaffected by the green olive. Hi Jeff, that’s interesting. Did the cat eat the olive or just play with it? We tried olives with our cats but they were uninterested. I’d love to try some of the other plants on them.